Asian-Inspired GnocchiBring Italian and Asian cuisine together with this Asian-inspired gnocchi dish! 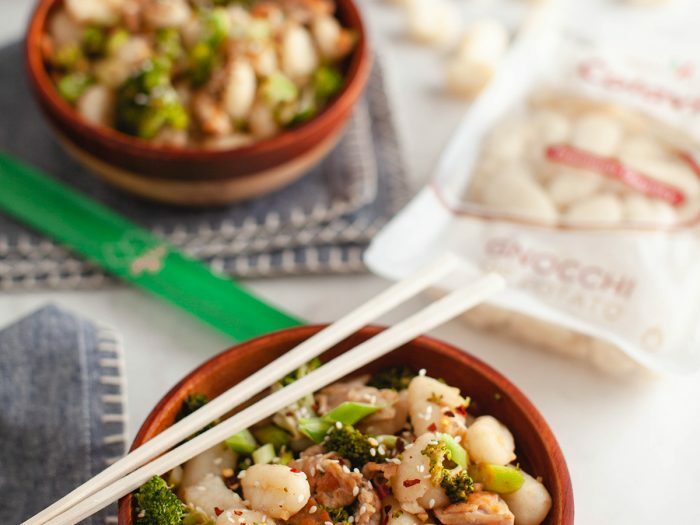 Gnocchi plus shaved pork and broccoli, plus a ton of different spices and sauces? YUM!